Pressure Dip. The pressure momentarily drops at the buckle pressure which is detected by the microprocessor. 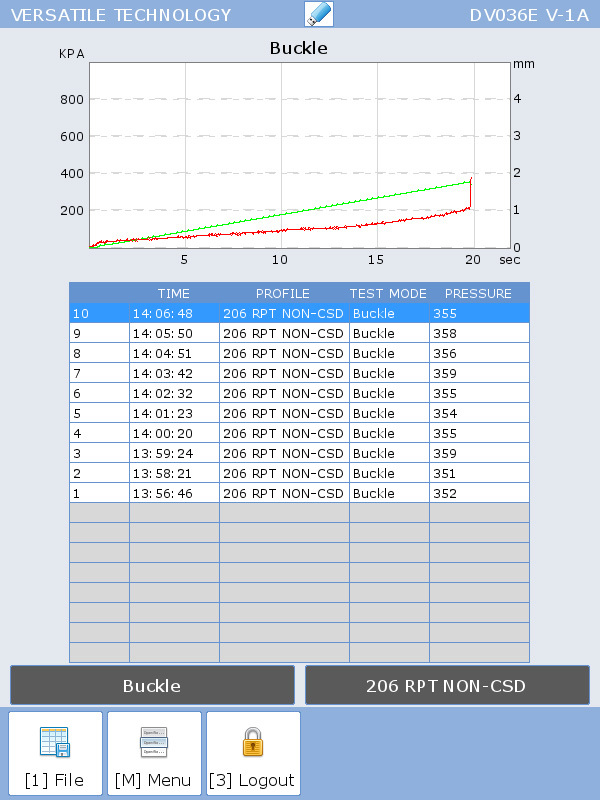 Used for CSD ends with high buckle pressures. Deflection. The end panel movement is during pressurisation. 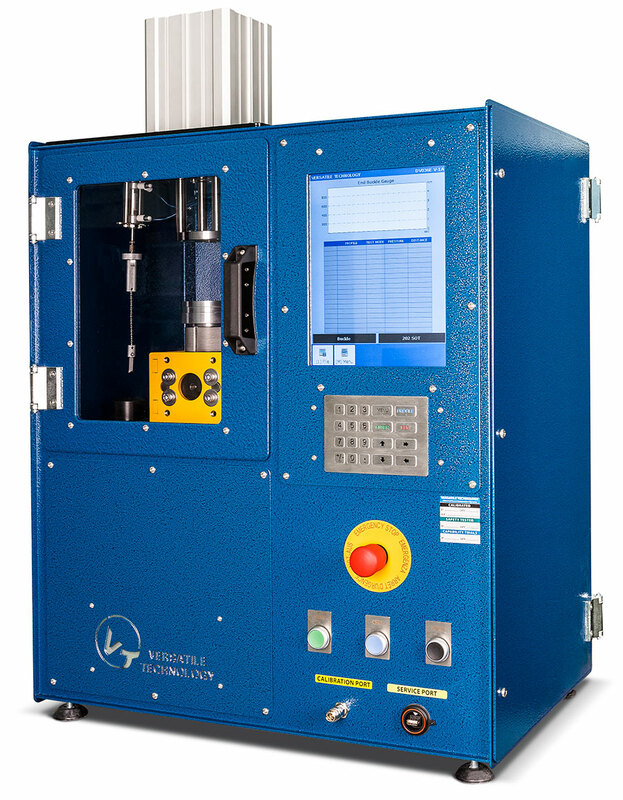 When the end fails, the sudden movement on the end panel is detected and the pressure is recorded. Used on non-carbonated ends with panel bulge failure.